The Museum’s Rubens galleries are temporarily closed for re-modelling as part of the Prado’s “Second Extension” plan. 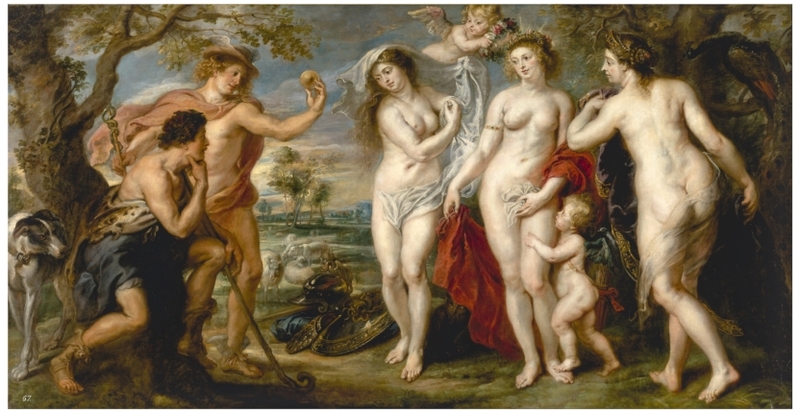 As a result, and over the course of more than two months, the Museum is inviting the public to enter into the vibrant artistic universe of this great and highly prolific Flemish painter through an innovative type of display of its important holdings of autograph works by Rubens and works by his studio. In addition, it is the first time for a decade that all these paintings, which constitute one of the core groups within the Museum’s collections, can all be seen on display together at one time. The Prado houses the largest and one of the world’s finest collections of works by Rubens, an artist whose extremely extensive oeuvre is now divided between numerous different institutions. 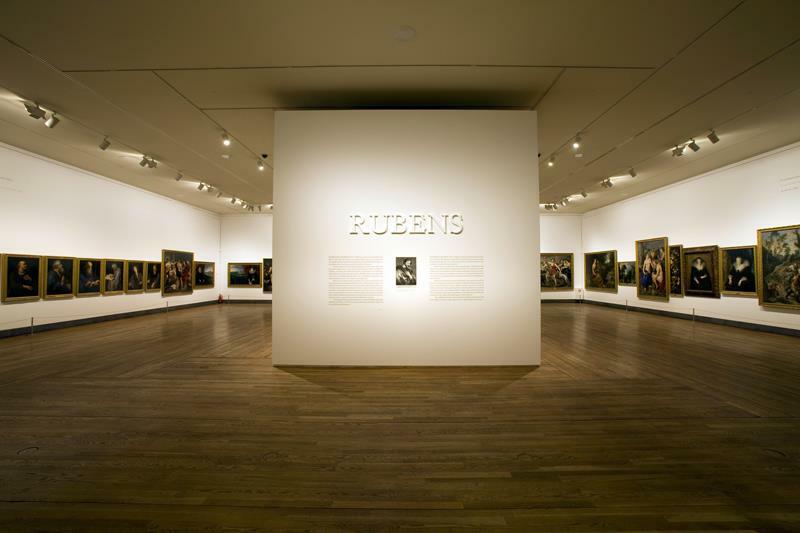 In order to help the visitor to become truly immersed in the world of Rubens and to grasp his remarkable creative powers, the exhibition’s curator has devised an unusual type of display in which the 90 works are presented in chronological order in the manner of linked sequences within a single, panoramic “take”, in cinematographic terms. The arrangement of the exhibition, which is displayed in two large galleries, allows for a clear appreciation of the evolution of Rubens’ style and his manner of approaching large-scale works. In the first room (A) the visitor can see early works by the artist which are notably "Michelangelesque" in style. Here Rubens appears as a great classical sculptor whose aim was to convey the power of forms and their expressive force. Saint George and the Dragon is a perfect example of the monumental style typical of this early period with its strong, solid figures. Also notable in this room is the great Apostle Series. 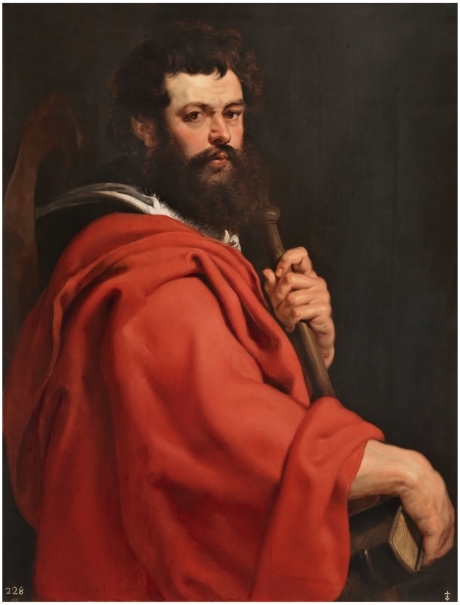 It includes various canvases that have not been on display in recent years, including Saint Matthew (ca.1610-1612). Another major series is that of the Torre de la Parada, which occupies part of the second gallery (B). For the first time in over a decade visitors can see the complete series, which was commissioned by Philip IV for a hunting pavilion at El Pardo in the mountains near Madrid. This room also includes works from the last years of Rubens' career in which he focused on the narrative potential of his compositions and on a desire to convey their poetic content. The landscape of Atalanta and Meleager hunting the Calydonean Boar (ca.1635) is displayed next to Diana and her Nymphs surprised by Satyrs (1638-1640), revealing Rubens’ love of the countryside and his profound empathy with the vitality of nature. The Prado’s collection of Rubens reflects the thematic diversity to be found in the artist’s work and includes mythological, religious and historical compositions as well as portraits and landscapes. Among these works are some of his greatest masterpieces, such as Saint George and the Dragon (ca.1607), The Adoration of the Magi (1609), Saint Paul (ca.1611), The Garden of Love (ca.1633), The Three Graces (ca.1635), Nymphs and Satyrs (ca.1635), Hercules and Cerberus (ca.1636), Village Dance (1636-1640), Diana and her Nymphs surprised by Satyrs (1638-1640), and Diana and Callisto (1638-1640); ten examples from the astonishing and unique creative universe of the artist who remained Philip IV’s preferred painter until his death and who can be considered one of the greatest painters of all times. Peter Paul Rubens (1577–1640) was the most admired painter of his day in Europe. His merits are undeniable: very few artists have succeeded in transmitting an optimistic vision of life as convincingly as he has, or have been as successful in bringing us closer to an ideal of human excellence. The values we find in Rubens’s paintings have much in common with the values of the ancient poets (he has often been compared to Homer): his art is a constant reminder of the heroic and dramatic aspects of life, and helps us broaden the scope of our emotions and delve more deeply into our feelings. The main vehicle Rubens used to convey his ideas are the myths that sum up the wisdom of the Ancients regarding human behaviour and emotions. Drawing on his faith in the power of painted forms to influence the viewer’s mood, and on an emphatic rhetoric of gestures, Rubens recreated these myths with an extraordinary power of conviction: when viewing his art we often have the impression that the great questions of life were settled with him asan eyewitness. 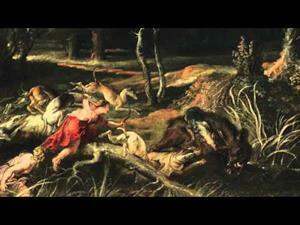 Rubens was a very productive artist (approximately 1,500 of his works still survive). He led a large workshop, and used his shrewd business sense to sell his pictures throughout Europe. He painted for the leading monarchies of the continent, and for the aristocracy, the church and the cultural and mercantile elites of the time. He was also a draughtsman of fabulous talent, and he designed tapestries, sculptures, architectural projects and decorative schemes for public ceremonies. Apart from his artistic work, he was employed as a diplomat in the service of the Spanish Monarchy and was a keen connoisseur of classical culture. He was also an avid collector of pictures, sculptures and books, among other objects, and a genuine cosmopolitan who travelled extensively and expressed himself in several languages. For all of the above reasons, he was considered by his colleagues to be a model of both professional and social practice. When discussing the collection of Rubens pictures in the Museo del Prado, as when discussing the painter himself, it is difficult to avoid superlatives. As a native of the southern Netherlands (now Belgium), Rubens enjoyed a special link with the Spanish royal family, who governed the region. The Infanta Isabel Clara Eugenia, daughter of Philip II, inherited from her father the rule of the Netherlands. From her court in Brussels she used the painter as an advisor, and supported his artistic and court careers to the extent of asking her nephew King Philip IV to knight him. Rubens was the favourite painter of Philip IV, who commissioned from him dozens of pictures to decorate his palaces in Madrid. The King was also the largest purchaser of the works that remained in the artist’s studio after his death. 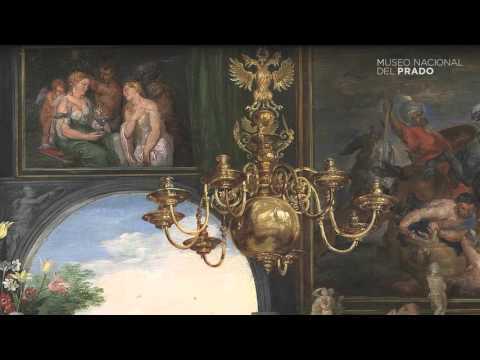 This is the main reason why the Prado houses the largest existing collection of works by Rubens, comprised of some ninety paintings (the exact figure varies depending on whether or not a few attributions are accepted). 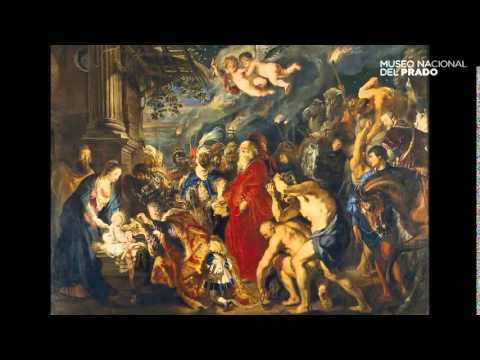 But it is not only a question of figures: the fact that many of the Rubens pictures in the Prado were painted for the King, or for members of his circle, explains the superb quality of the collection. The Prado offers its visitors a unique opportunity to explore Rubens’s universe. Peter Paul Rubens is born in Siegen (Germany) on 28 June, son of the lawyer Jan Rubens and Maria Pypelincks, who had fled Antwerp to escape religious persecution. Having converted to Catholicism, after her husband’s death in 1587 Maria Pypelincks returns to Antwerp with three of her children, among them Peter Paul. 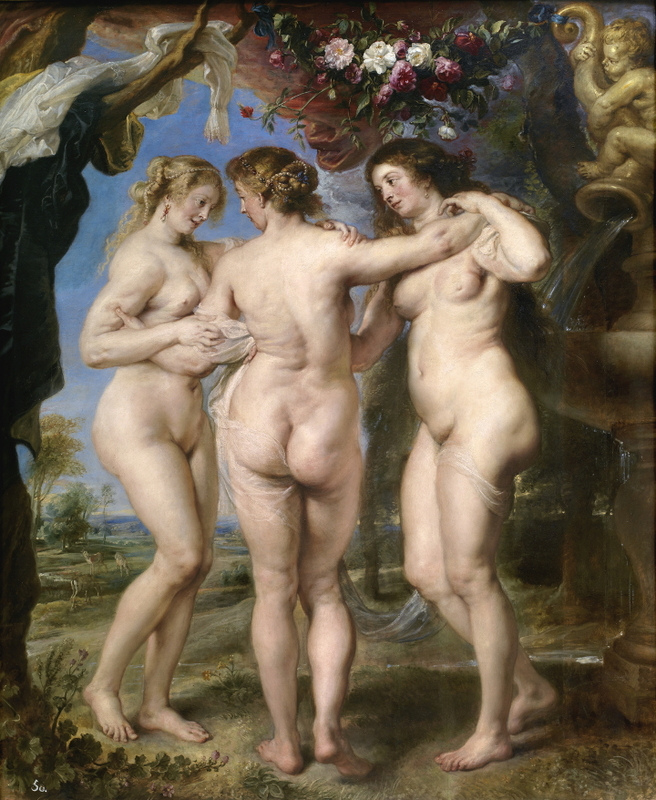 Rubens begins to study the classics, and is trained in rhetoric, grammar, Latin and Greek. He enters the service of the Countess de Ligne-Arenberg as a page, acquiring the basic skills required of a good courtier. Rubens is apprenticed to the painter Tobias Verhaecht, a specialist in landscapes. He continues his training in the workshop of the painter Adam van Noort. He joins the workshop of Otto van Veen, who will become his main master and instils in him the classical ideals of the art of painting. He is admitted to the Antwerp painters’ guild as a master. On 9 May Rubens departs for Italy. He will work in the service of Vincenzo Gonzaga, Duke of Mantua. He remains in Italy for eight years, studying the art of Antiquity and the Renaissance, and travelling to Rome, Florence, Genoa and other cities. In September Rubens visits the court of Philip III in Valladolid as an envoy of the Duke of Mantua. 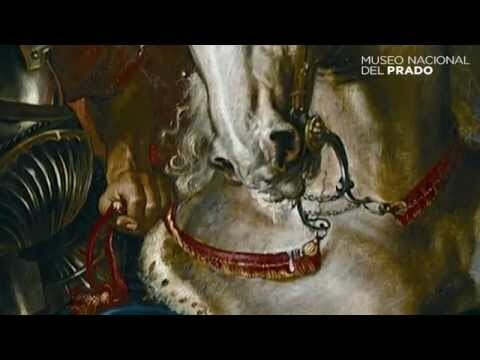 He paints the Equestrian Portrait of the Duke of Lerma (Museo del Prado). He returns to Italy at the beginning of 1604. Following his mother’s death he travels back to Antwerp from Italy. Rubens works as a painter at the court of Archduke Albert and Archduchess Isabel Clara Eugenia in Brussels and for the patriciate of Antwerp, where he resides and establishes his studio. He paints The Adoration of the Magi (Museo del Prado) for Antwerp's town hall, the first of many major commissions from the city’s foremost institutions. Clara Serena, Rubens's eldest daughter, is born. His brother Filips Rubens, a prominent neo-stoic philosopher, dies. Albert, his eldest son, is born. Anton van Dyck joins Rubens’s workshop, marking the start of a wide-ranging collaboration. The artist’s second son, Nicolas, is born. Rubens is commissioned to decorate the Jesuit church in Antwerp, a project in which Van Dyck plays a significant role. Maria de’Medici commissions him to paint a cycle of paintings for the Luxembourg Palace in Paris. Rubens begins his diplomatic activities on behalf of the Spanish Crown. His daughter Clara Serena dies. At the request of Isabel Clara Eugenia, Philip IV grants the painter a patent of nobility. Isabel Clara Eugenia commissions Rubens to design the series of tapestries on the theme of the Eucharist for the convent of the Descalzas Reales in Madrid. His wife Isabella Brant dies. Rubens arrives in Madrid in early September as a diplomat to report to the king on the state of the negotiations for a peace treaty between Spain and England. He stays in the Alcázar, the main palace in Madrid, where he comes into contact with Velázquez. He copies numerous Titian pictures in the royal collection. He paints a portrait—no longer extant—of Philip IV to replace an earlier one by Velázquez in the most important room of the Alcázar. On 29 April he leaves Madrid for England. Rubens is knighted by King Charles I of England. On 6 December he marries Helena Fourment in Antwerp. His daughter Clara Johanna is born. His son Frans is born. Rubens designs the decorative scheme based on triumphal arches for the entry into Antwerp of the region’s new governor, the Cardinal-Infante Ferdinand of Austria, brother of King Philip IV. Rubens's daughter Isabella Helena is born. He acquires Het Steen, a country house near Mechelen. Work begins to design the hunting lodge near Madrid known as the Torre de la Parada, commissioned by Philip IV. Rubens’s youngest son, called Peter Paul, is born. Rubens works on many commissions for Philip IV, who by this time has become his most important patron. Rubens dies in Antwerp on 30 May. 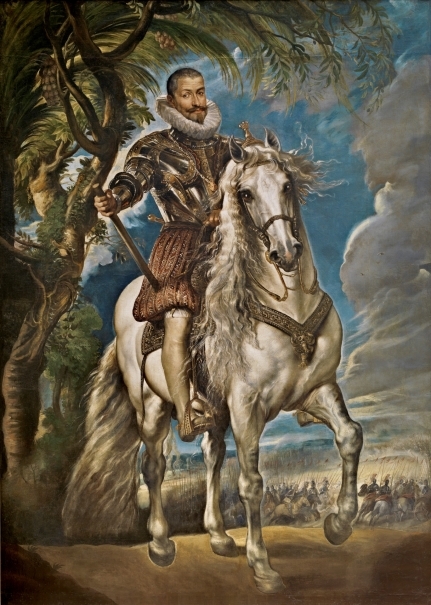 Philip IV acquires from Rubens’s heirs paintings which had remained in the painter’s collection after his death, among them Saint George and the Dragon, The Three Graces and others that belong to the Museo del Prado and are present in this exhibition.